Prof. Lilley studies ecological, programmatic, and artistic strategies influencing design. His built projects advocate health and well-being of communities through capacity-building, especially through robust facade and garden design. 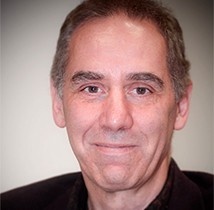 He is involved in cross-disciplinary research into ceramic materials, as well as augmented environments such as computational representation of interior climate and networked knowledge-enhanced forms of circulation. Lilley, Brian, Roland Hudson, Kevin Plucknett, and Rory Macdonald. "Ceramic Perspiration: Multi-scalar Development of Ceramic Material." ACADIA conference proceedings, 2012. Description of Pictou Landing Health Centre. In Hospital Architecture, ed. Christine Nicki-Weller and Hans Nickl. Salenstein, Switzerland: Braun, 2013. Lilley, Brian, and Philip Beesley, ed. Expanding Bodies: Art, Cities, Environment. ACADIA conference proceedings, 2007. Sauerbruch Hutton Architects. GSW Headquarters Berlin. Baden: Lars Müller, 2000. Description of drawing technique of Brian Lilley and Arthur Collin. In Picturing Architecture: Graphic Presentation Techniques in Australian Architectural Practice, ed. Desley Luscombe and Anne Pedan. Roseville, Australia: Craftsman House, 1992.